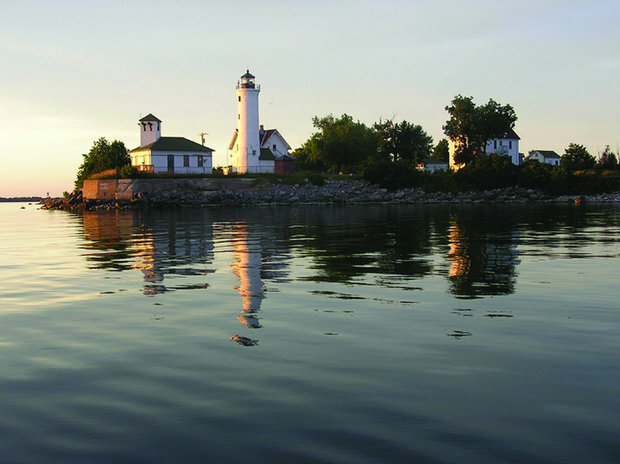 Lake Ontario is one of the most beautiful features in all of the North Country. We share the lake with Canada and it also connects with the St. Lawrence River. Lake Ontario is the perfect place to buy a home or a cottage for the summer months. Kayaking, boating, jet skiing, paddle boarding, water skiing, tubing, fishing and swimming are just some of the fun that the lake entails. The lake is about 15 minutes outside the city of Watertown and has plenty of small towns with great waterside dining. Chaumont hosts the great dining of The Blue Heron and Wiseguys, and Sackets Harbor and their fine dining is right around the corner. Picturesque sunsets occur on the horizon every night, and there is never a shortage of fun summer activities. Lots of homes and cottages have their own docks, but local marinas such as Kitto’s offer care for boats as well to ease responsibilities. Even in the winter, the views don’t cease as the snow glistens on the lake. The ice also allows for ice fishing, which is very popular in this area and the North Country in general. With beautiful waterfront homes and cottages, we are confident our agents can help you find the right fit.